The snow has already started falling in parts of the country, which means it is past time that we start thinking about winter vegetable gardens. 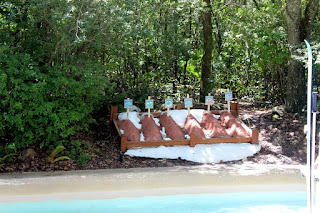 I’m not talking about mustards, collards, or other types of greens, I’m looking at the type of vegetables that grow in Florida, specifically around Blizzard Beach, in the snow, all year round. Are there such vegetables? As it turns out, there are! 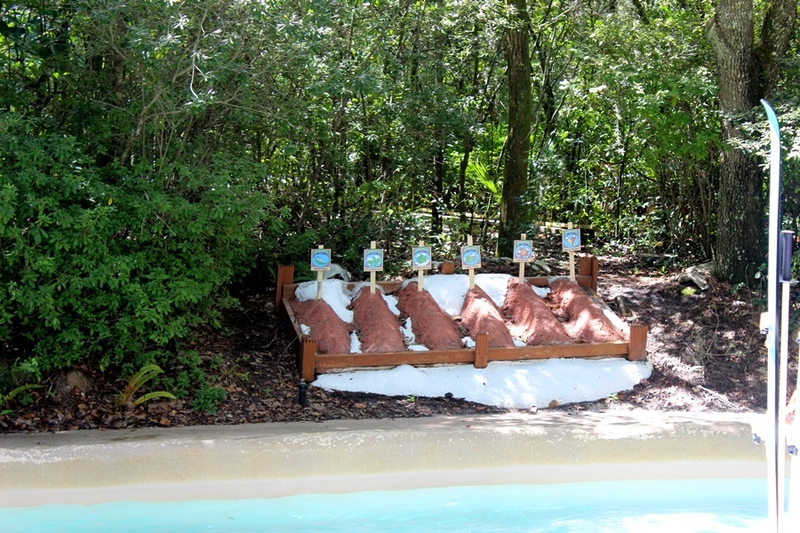 They can be found along the slopes of Melt-Away Bay, just across the creek from Ice Gator’s snowy chalet. Ice Gator’s cold can cause guests to be preoccupied as they pass by, ensuring that they aren’t doused by one of his watery sneezes bubbling up from the chimney. They may notice the garden, but may not be as aware of it due to the wet gag that awaits them. Of course, it would be Disney if the vegetables were straight forward, and so each sign shows a vegetable covered in snow or shaking in the cold. While some of these vegetables retain their original names, there is a definite chill to their variety. As for the rest, some wintery wordplay may have been employed, and we love it. So, what are these snow-prone delights? Snow Peas, B-r-r-r-occolli, Iceberg Lettuce, Sleet Corn, Ice Plant, and Chilly Peppers. I don’t know about you, but this seems to be the makings of an excellent, if frosty, salad!